In an effort to share current information about higher-efficiency water heating, the Coalition for ENERGY STAR® Water Heaters has joined Facebook. Contractors, plumbers and homeowners can now access the most up-to-date information about the national awareness and education campaign at www.facebook.com/ESWaterHeaters. 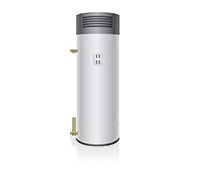 Water heaters represent about 15 percent of the average household’s energy consumption. Upgrading to an ENERGY STAR model can help improve a home’s overall energy consumption and help homeowners save up to $300 a year on energy bills. In areas of the country where electricity and natural gas prices are much higher you could possibly expect more of a savings on your energy bill!